…because that’s the only thing I could think of when I tried to dig out my brain for the title for this week’s rant. Although the airing schedule for this week is back to the normal two episodes, it made my life…abnormal again. 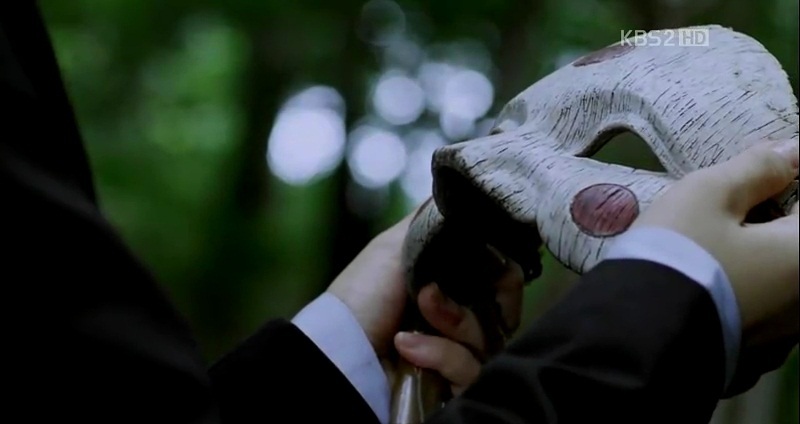 So excruciatingly painful yet so exciting…that’s Bridal Mask for me. This week is another unhealthy week with only one episode aired for Bridal Mask. I couldn’t complaint much since it’s a whole lot better than none. I can’t imagine myself without constant dose of this drama every week. I won’t be able to concentrate on anything. Watching a new episode always gives me some relief but then, the relief will be replaced by fear for the upcoming episodes. I am going to live in constant fear until this drama ends. So…Wednesday, why you’re so far, far away?! It looks like the ladies of the drama Bridal Mask is on the roll these days! First was Jin Se-Yeon, now it’s Han Chae-Ah’s turn to be featured in the magazine. Her pictorial is for the August edition of Esquire, but the set reminds me of her hotel room in the drama. Maybe she actually did the photo shoot at the set? Who knows, but she’s indeed a smoking hot goddess in this pictorial.